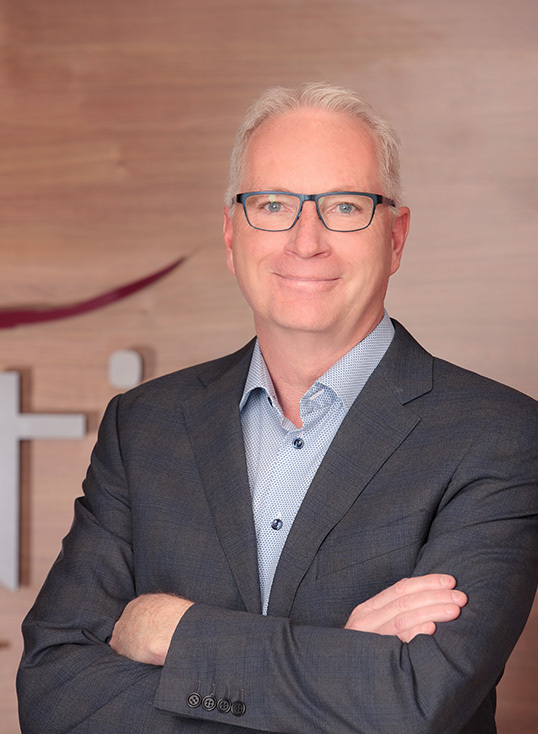 Technologist and visionary with more than 30 years of experience in the cable and satellite industries, Brent Smith drives Evolution Digital’s current and future product strategies and road maps as Chief Strategy Officer. He is responsible for understanding the goals and needs in the market to develop solutions for customers that stretch the current perceived technology and resource limitations. Brent leads the engineering, product and marketing teams in every product life cycle, from conceptualization to customer deployment, for Evolution Digital’s IP video solutions that have innovated in the new era of OTT content and multi-stream households. Most recently, Brent has led Evolution Digital’s launches of eMERGE app-based user interface, eVUE-TV video delivery platform and eSTREAM, powered by Android TV, all-IP streaming box that integrates third party OTT services for a unified, easy-to-navigate platform. Brent emphasizes Evolution Digital’s role as the ‘aggregator of choice,’ offering software-based solutions that run on both operator managed and retail devices, such as Apple TV®, Roku®, iOS® and Android™ mobile, enabling operators’ each unique business decisions and customizations. The technology advancements that Evolution Digital has achieved in a record time can be attributed to Brent’s deep understanding of the directional and ever-changing trends of pay-TV. Brent’s unique ability to build strategic partnerships with worldwide leaders in mutually beneficial technology areas has proven priceless to Evolution Digital and its customers. Brent was appointed to the Federal Communications Commission (FCC)’s Downloadable Security Technical Advisory Council (DSTAC). The DSTAC’s mission is to promote the competitive availability of navigation devices (e.g., set-top boxes and MVPD-compatible television sets) in furtherance of Section 629 of the Communications Act. Prior to Evolution Digital, Brent was instrumental in the development of worldwide strategic partners for Scientific Atlanta (now Cisco). Brent built the Scientific Atlanta Canadian revenue from 2-3 million annually to in excess of 110 million per year, primarily through securing long-term contracts for the transition to digital with the key customers in Canada, predominantly Rogers and Videotron. During his career at Scientific Atlanta, Brent established the branch office to service the Middle East and India and developed key relationships with major cable operators in India for all Scientific Atlanta digital products. Brent enjoys spending time with his wife, two children and two grandchildren.